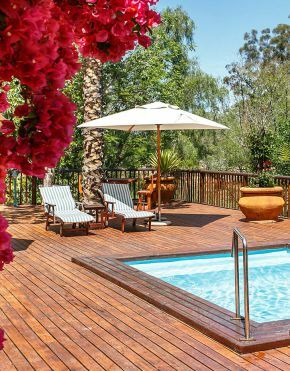 This Oudtshoorn guest house, which overlooks the Grobbelaars River and the historic Suspension bridge, offers stylish comfort with rustic charm, in the shade of a Century-old giant Gumtree. 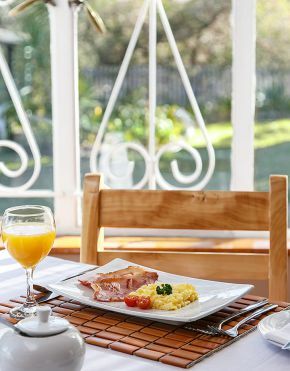 Gumtree Guest House is close to town but with a beautiful view of the Swartberg mountains, and many restaurants and attractions are within a few minutes’ walking distance. Enjoy professional, efficient and friendly service from your hosts, Phil & Linda Putzel. 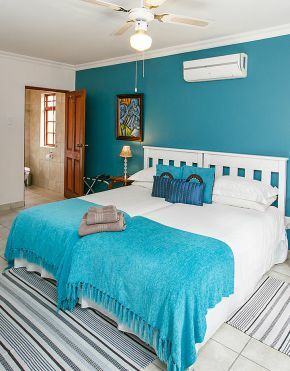 Standard Twin en-suite bedroom (with two single beds) with air conditioning, hairdryers, toiletries, wall heaters, televisions with satellite channels, wireless internet (wi-fi) and own external entrance. Four Superior rooms, two with queen beds and two with twin beds (which can be converted to King doubles) with air conditioning, hairdryers, toiletries, wall heaters, televisions with satellite channels, wireless internet (wi-fi) and own external entrance. Oudtshoorn offers numerous attractions and activities to keep you occupied for two or more days. From the underground wonder of the Klein Karoo – the Cango Caves to the amazing historical buildings, all in a days fun. Enjoy animal encounters and learn more about the big birds that make Oudtshoorn famous – the ostrich.